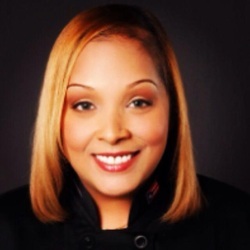 Chef Noemi is Puerto Rican born and raised in the Bronx, New York. Growing up, Noemi watched her grandmother and mother cook which is where she first learned the beauty and technique of Puerto Rican cuisine. At the age of 17, she graduated from Aquinas High School in the Bronx and went on to attend St. Thomas Aquinas College, in Upstate New York, where she majored in criminal law. Her intention was to complete four years of college and join the United States Navy. After one year of college, Noemi joined the Navy as a Mess Management Specialist, which was later changed to Culinary Specialist in 2005. She has lived in Norfolk, Philadelphia, Texas, Hawaii, Japan, Puerto Rico, parts of the Middle East, Italy, France, Philippines, Singapore, Guam, Malaysia, Bahrain and Dubai. In each of her trips, Noemi managed to taste every culture's cuisine and would then attempt to replicate those dishes at home. After 14 years of military service, Noemi decided to continue her path of culinary expertise. In 2013, she left the Navy and enrolled in the Culinary institute of Virginia. When the topic of being a personal chef was discussed in her first week of school, she knew that's what she wanted to do. She became a member of the American Personal and Private Chef's Association and registered her business with the city of Virginia Beach. In 2016, Noemi completed her education with two degrees- an Associate's Degree in Culinary Arts and a Bachelor's Degree in Food Service Management.